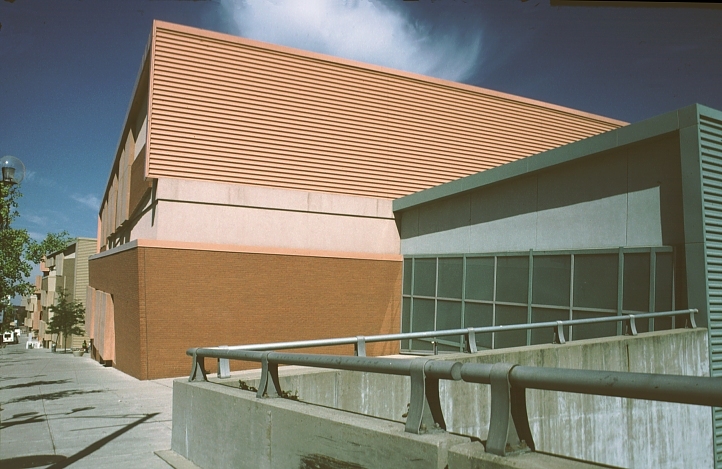 Images of Convention Center, Columbus, Ohio by Peter Eisenman. 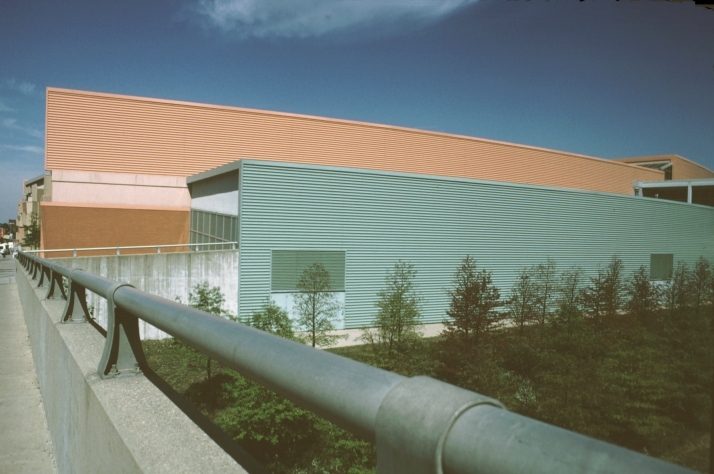 This 600,000 square foot convention center (now being expanded) is located at the northern end of downtown Columbus on the former site of the Union Station. 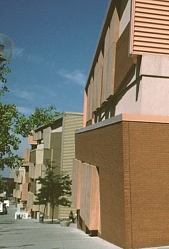 At the south end the center is joined to the Hyatt Regency Hotel. 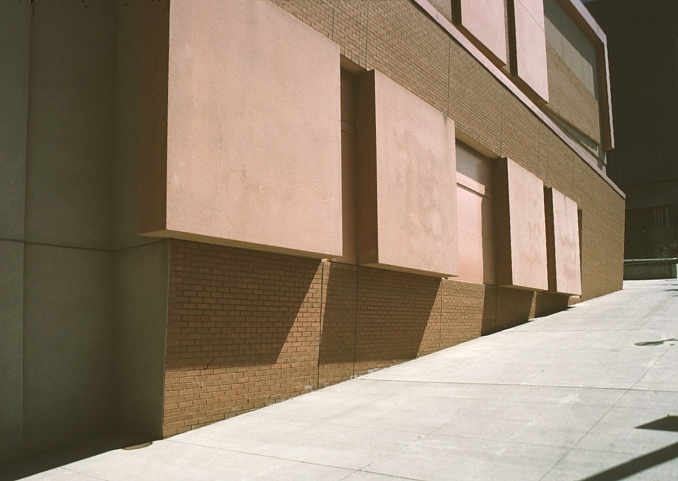 Loading docks are at the rear whereas the High Street facade is comprised of separate pavilions, variously colored (beige, brown, terra cotta and turquoise) and canted at odd angles, echoing the rhythms of the brick facades of the older buildings on the west side of High Street. 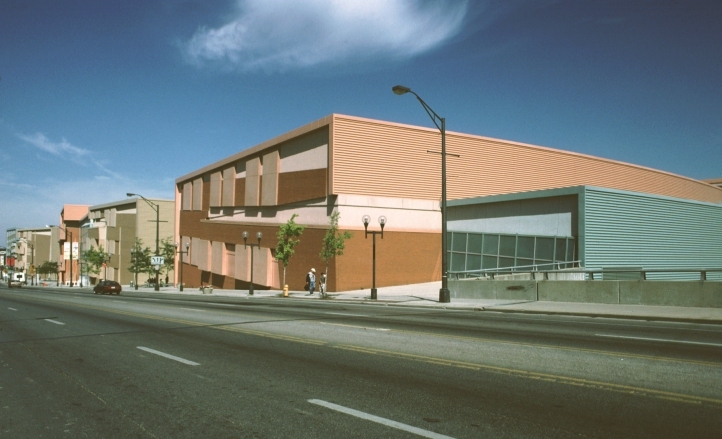 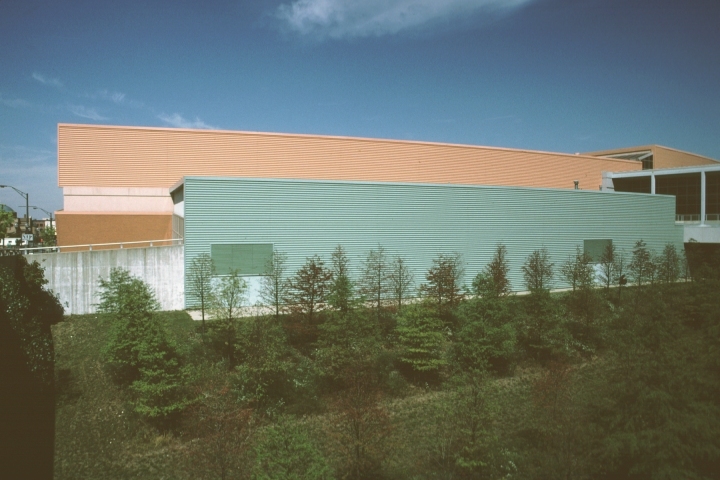 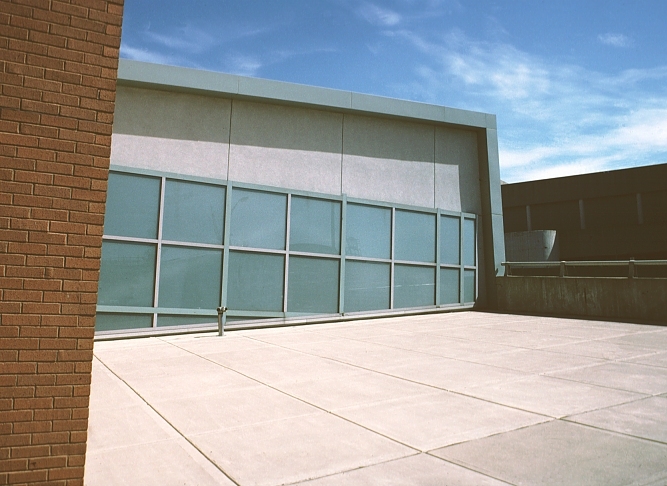 Click here to see additional views of the Convention Center. Other Eisenman buildings on this site include: Aronoff Center for Design and Art (DAAP Building), University of Cincinnati and the Wexner Center.